France's World Cup triumph is in the past as Spurs captain Hugo Lloris focuses on delivering glory at Premier League hopefuls Tottenham. Lloris and France reigned supreme at the World Cup in Russia last year and Tottenham are now fighting for silverware this term. Tottenham – who are preparing for the Champions League last 16 against Borussia Dortmund – are third in the Premier League and can move back within five points of leaders Liverpool on Sunday. 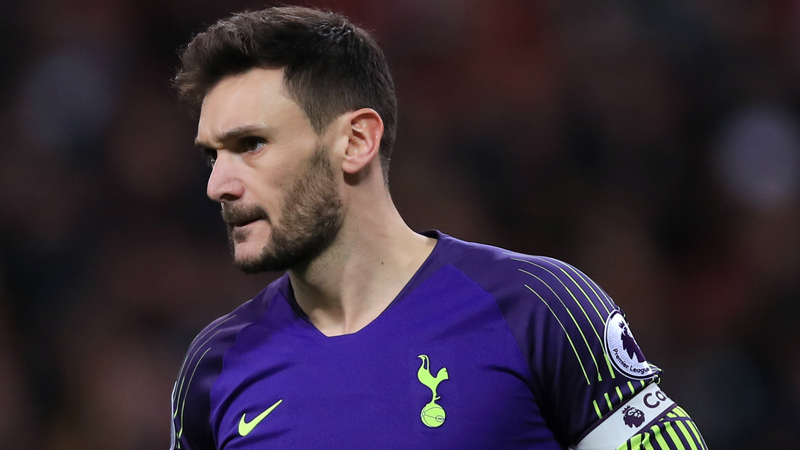 France's ultimate glory is a distant memory for Spurs captain and goalkeeper Lloris, who is determined to win titles with Mauricio Pochettino's Tottenham. "To be honest, the football and the time is going so fast," Lloris said ahead of Sunday's clash with Leicester City. "I don't want to say that I've forgotten about the World Cup but, for me, it belongs to the past. I don't have time to make a step backwards and think about the World Cup. "Every time people talk about this moment – it gives you a lot of positive energy. But as a professional and as a man I am just focused on today and tomorrow. Maybe when I will be retired, I will think in a different way but it's not the case at the moment." Another huge three points up for grabs. Lloris, who said he felt "empty" following Russia 2018, added: "We are Tottenham and we have the humility to say in a different place, a different club, a bigger institution, they are used to winning - they won in the past, they win today and they will win tomorrow - because of the heaviness of the institution. "When you wear the jersey of some clubs, you have this pressure every day. It's not the case in Tottenham. Historically there is a great history, it's a great club in England. But it’s not the type of club that used to win every year. It needs more time. "For me the best way is to compare the club when I arrive [in 2012] and the club of today. We reduced the gap massively between the best teams in England and maybe in Europe, too. And the process takes maybe more time than in some other places. But for sure we are going the right way because every season we are improving and improving and improving." "It is important to believe in yourself but it is important to have sense, too," he continued. "The main target for the club and for the team is to get the top four for the fourth time in a row. You need to look at the clubs behind because everything can turn very quickly. But you can look ahead, too. "We are in the position we deserve because in the league, we are quite consistent but at the moment there are two teams who have done much better than us. We will see what will be in March and if we will be in a place to compete for the title or just the top four. That doesn't mean we don’t have ambition. The ambition is to win every game until the end of the season."